HALLIE EPHRON: Each day, I go into Blogger (the software the brings you the Jungle Red Writers) and check the comments, looking for spam. Spammers come to the blog, usually late at night, and comment on OLD blogs. I can only guess they get paid for each entry they plant. I come along like a weed wacker. Lately I've also had to UN-weed comments that Blogger has taken upon itself to relegate to SPAM. Apologies to Jay. I don't know why Blogger has it in for you. Going two years back, there are more than 1,000 SPAM comments. I thought I'd share some of their great wisdom that I try to spare you from, day to day. Notice, sometimes it's just word salad. Really love to read this post and it seems like a great blog i have ever seen. Just read your article. Good one. I liked it. Keep going. you are a best writer your site is very useful and informative thanks for sharing! Very efficiently written information. It will be beneficial to anyone who utilizes it, including me. The guide should remain tuned in to what is being done or what has been done in reality. Many upright water smokers have limited BBQ sauce recipes while dispersing the direct warm from the resource. Since your card is activated you need to most likely to this web link and <> Bank video could aid you find out and also comprehend all the actions of that procedure. Dude. I am not much into reading, but somehow I got to read lots of articles on your blog. Winter has returned. I do not like because I can not stand the cold. But wearing loud clothes also quite interesting. I look like a cute bear. Get one of the best movers and packers in Bangalore. Today we welcome your comments! Points to anyone who can comment like a spammer. Jay, this is your moment! 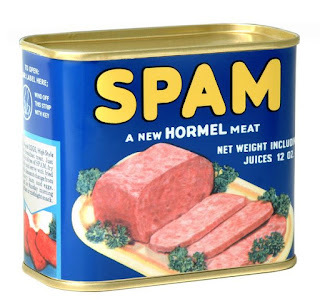 See you in SPAM! 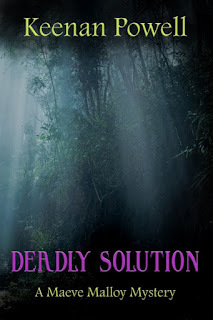 HALLIE EPHRON: I had the great pleasure of reading Keenan Powell's debut novel, DEADLY SOLUTION, and it's a corker! Who knew Alaska had mean streets? And the opening, set on one of those mean alleys, grabs the reader by the throat. 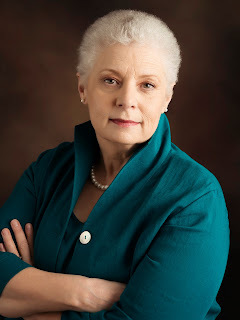 In Chapter Two we meet a complex, prickly new crime fiction protagonist, attorney Maeve Malloy, and Keenan (an Anchorage attorney) is in her element. It's a seriously good read with compelling ideas to chew on and an ending I didn't see coming. So I'm delighted to welcome Keenan as a guest (and newly minted!) author on Jungle Red. She's a writer at the top of her game, talking about how one of life's unexpected complications made her stronger. KEENAN POWELL: My grandson came to live with my last year, rather abruptly, and it was a period of adjustment for us all. He was twelve years old at the time. I wanted him to feel my home was his home. So, with help from my oldest daughter, I transformed my periwinkle yoga room into a soft gray mancave, filled it with manly brown bunk bed set and decorated it with Star Wars posters. He said he would like to wake up to the smell of frying bacon. Who doesn’t? So, I started making a fry-up every morning. Sometimes I’m frying up ground turkey in bacon grease because bacon every day is more sodium than I want in my body, but the smell is what’s important, right? We created our own traditions, mostly around food because he’s a growing boy. 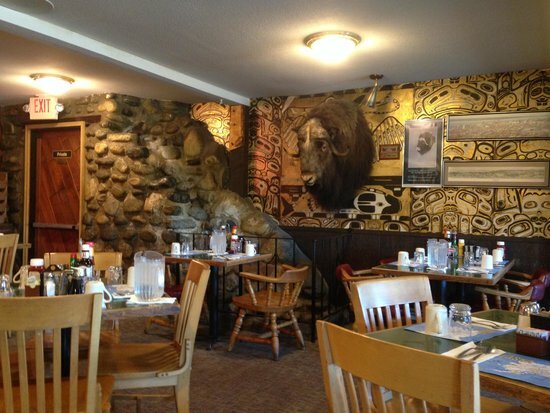 Every Saturday morning, we go to breakfast at Gwennie’s Old Alaska Restaurant, which is stuffed with animal mounts and other Alaskana artifacts. After breakfast, I give him three quarters to drop into the wishing well in the middle of the restaurant which is designed to look like a gold miner’s panning site. Also, I started a “Good Things Jar” which is kept on the kitchen counter next to the coffee pot. The idea is to write down good things that happen on a slip of paper and put them into the jar. Then, if I’m feeling a little sad or stressed, I look at all the good things piled up in the jar. The grandson has joined in too. He’s thankful for the new Star Wars movie. My notes in the jar include meeting Hank Phillippi Ryan at a Mystery Writers of America University in Seattle a few years ago, learning from her on Facebook about the Malice Domestic grant, winning the grant, using the grant money to go to Book Passages Mystery Writers Conference, consulting with Hallie Ephron and Rhys Bowen at Book Passages, and receiving invaluable critiques from them, and then going on to sign with Level Best Books. I have a lot to be thankful for, most especially the generosity of the mystery community. One of the more recent notes in the Good Things Jar is the January 23, 2018 release of my debut, DEADLY SOLUTIONS. 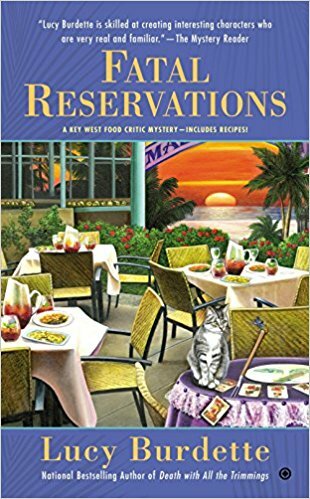 I was twiddling my thumbs in a continuing legal education seminar several years ago when the inspiration for this book hit me like lightening, demanded to be written and led me into this whole new wonderful world of a writer’s life. HALLIE: We're so happy to welcome you, Keenan! Do you have anything like a Good Things Jar in your life? I don't, but I'm starting one now. Keenan will be giving a copy of her book away to one lucky US-based commenter. Less than a year after drinking sidelined her career as a public defender in Anchorage, Alaska, Maeve Malloy is asked to defend an Aleut Indian accused of beating another homeless man to death. 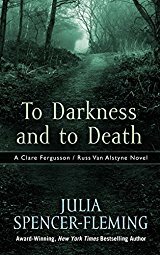 With no witnesses to the crime and a client who claims to have no knowledge of the night of the murder due to a blackout, the case is stacked against them. As Maeve works to maintain her sobriety, she and her investigator Tom Sinclair search for answers in homeless camps, roadside bars, and biker gang hangouts. 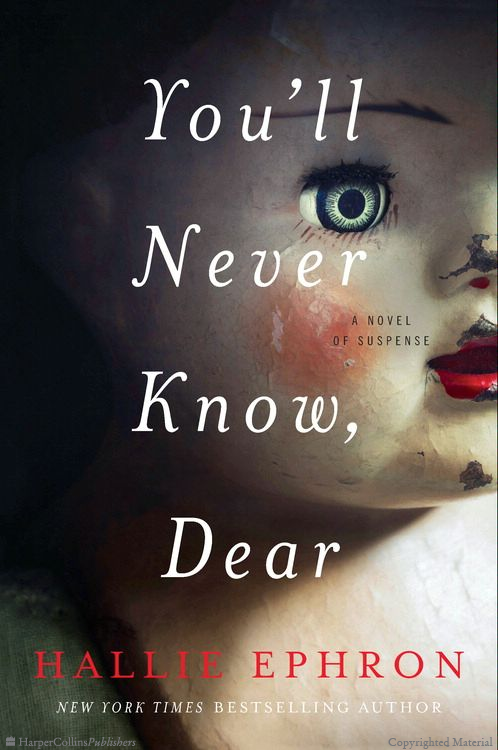 When they uncover more than a few people with motives all their own for wanting the victim dead, they are determined to prove their client's innocence before he is sentenced to a life behind bars for a crime he swears he didn't commit. 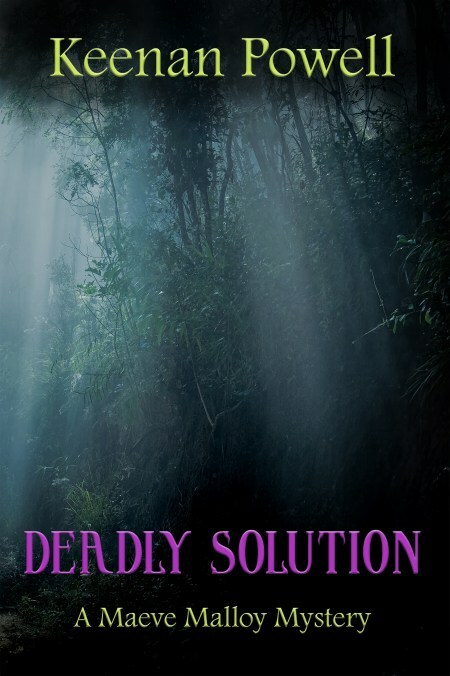 When Maeve and Tom discover there may be a link to an unusually high number of deaths among the homeless community, the search is on for a killer hunting among the most vulnerable members of society. Keenan Powell was born in Roswell, New Mexico, several years after certain out-of-towners visited. Her first artistic endeavor was drawing, which led to illustrating the original Dungeons and Dragons when still in high school. Her publications include Criminal Law 101 in the June 2015 issue of The Writer magazine and several short stories. She writes the legal column, Ipso Facto, for the Guppies’ newsletter, First Draft, and blogs with the Mysteristas. I know writers are universally ecstatic to GET to writing that final line, because the hardest work (first draft) is over. I like to end with something of a bookend, echoing and resolving some question that got the story going. Something which clears the decks and enables the main character to move on. Flooding back came the dream Vanessa had had before she left Providence. She could still see the towering wave, Grandma Sorrel emerging from a wall of water and offering Vanessa a blanket-wrapped bundle. It hadn’t been a baby or a doll. It had been both. How do you think about the final lines of your novel? Needless to say, that draft is a hot mess. The second time, I revise to my agent's and editor's notes, fixing plot threads, pacing, etc. She chimed in, her alto humming above his baritone, the sleeves of his dinner jacket falling over her hands, and they danced beneath the November moon, to sad, sweet music they made themselves. RHYS BOWEN: Oh Julia, I'm not sure I am happy with a last line that's a cliff-hanger! I find it frustrating to know that the story was not complete and I'll now have to read the next book to find out what happened next. If I know it's going to be book one of a trilogy that's fine. If I really adored the book, I guess it's fine too because I would read the next one anyway. I did leave some doors open at the end of In Farleigh Field, sort of hinting where my characters might be going next--just in case I chose to write a sequel. 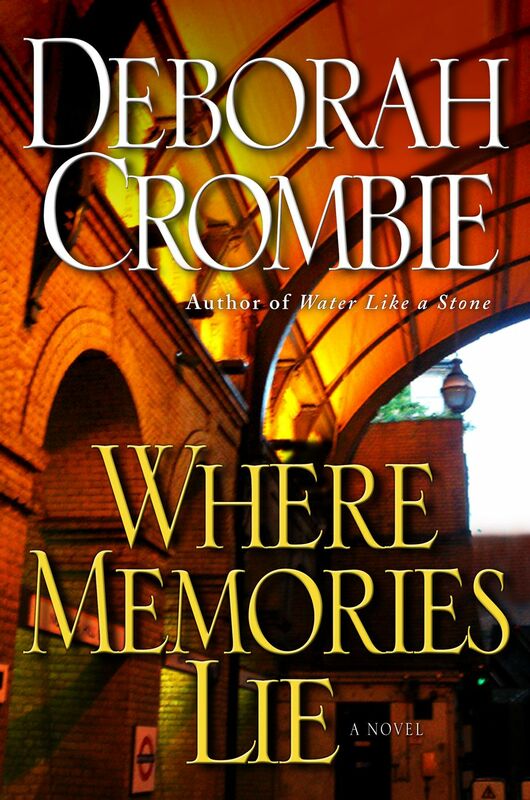 But I think my favorite last line was from my first mystery (and my 40th comes out next month!). 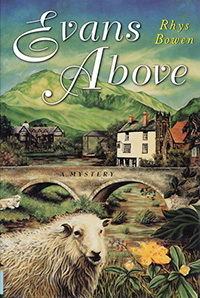 It was EVANS ABOVE, and the story was about murders that take place on Mount Snowdon. I made the mountain into a character, an observer with brief interjections like "High above came a cry that nobody heard." high above the mountain rested. LUCY BURDETTE: I have to agree with Rhys--I don't like cliffhangers in the series I love. I like to know the characters are tucked away somewhere safely, at least until the next book. Lieutenant Torrence glared at Bransford and then pull his sunglasses down to cover his eyes. "It's possible–no, it's likely–that I'll kill you if you screw things up," he said to Bransford, tipping his chin at me. And then he rolled his window up and drove away. 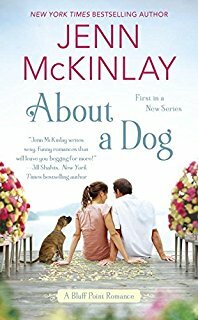 JENN McKINLAY: Oh, boy, you had to go here, didn't you, Hallie? By the way, you're all brilliant with last lines. I am wowed by you all. I do disagree with Lucy and Rhys about cliff hangers. I love, love, love, hate them. See? Mostly, love with a little hate. If it's a stand alone, that's tough because I need resolution, but if it's a series, I'll take a cliffhanger, even if it's excruciating because it will fuel my desire for that next book like crazy. As for my own personal last lines, I agonize over them because I want closure on the mystery, but curiosity about the protagonists' lives and what's next for them. "Just wait until you hear what happened at the library today. "His reply was immediate. "No dead bodies? "Lindsey smiled. "None, I promise. But I have to say the library is never dull. Never." Which, if you think about it, is a happy ever after, isn't it? LOL. 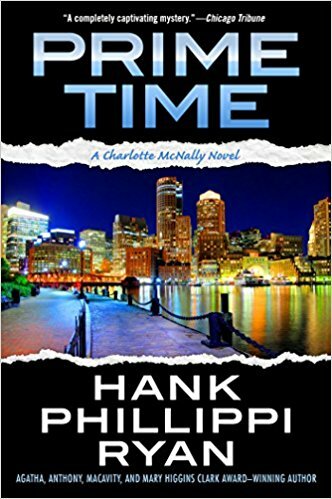 HANK PHILLIPPI RYAN: I work so hard on last lines. And here's how I know when they work: I write my first full draft, and see how I feel as I type the last line. Often I say: oh, okay, that works, hurray, I'm done. But I know that's not true! As I continue to work on the manuscript, the last line changes, sometimes tremendously, sometimes just tweaking. But I ONLY know I really finished when it makes me well up with tears. Then, and only then, am I satisfied. My rules for endings? The plot of the story must be totally wrapped up, way before the final sentence, so it's got to be something that mirrors or reflects or underscores not only the whole book, but, if I am lucky, the first line of the book--maybe it's the opposite of the first line? Or the realization of the first line? And it's also got to be something that's..how shall I put it....desired by the main character, thematically. And it's got to be--sweetly unexpected, but absolutely foreshadowed. So it's been set up throughout, you know? And then it brings the book together emotionally. And is full of promise of forward motion. Like in PRIME TIME. Jane meets Jake. On their first "date," they see a shooting star. And have a bantery discussion about what you are supposed to do when you see a shooting star. (make a wish, right? but it's more than that) At the beginning of the last chapter, after the crime is solved and when they are getting ready to go to the Emmys (:-)) Jake gives her a present--and it's a diamond star necklace. Which she puts on. Aww. And then Jane realizes stuff about the danger she's escaped, and what she's learned, and how she treasures her friends, and her emerging journalism career, and her love for Jake, and what life is all about. I touch the little diamond star around my neck. And I make a wish. 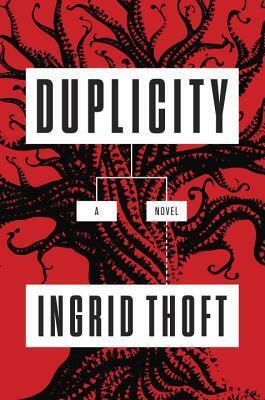 INGRID THOFT: Some of my last lines are cliffhangers, and some aren’t, but I think cliffhangers are fantastic in a series. The whole point of a series is that you engage readers in the long arc of the story, so I think it’s fair game to leave them hanging a bit and pique their interest in the next installment. Fina grabbed her coat and threw open the front door.“Fina, wait!” her father called after her.She broke into a slow jog, her head pounding with each step, putting as much distance as possible between the.A million miles wouldn’t be enough. 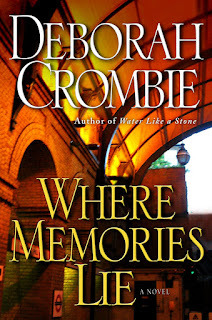 DEBORAH CROMBIE: I work harder at last lines than first lines, and often write the entire last scene when I'm only part way through the book. It gives me an end point, something to work towards. And there have been quite a few times, when I actually get there, that I don't have to change a word. He stared at her, the tulips tilting dangerously in his grasp, forgotten. In his eyes she saw a flare of delight, and herself reflected, infinitely, like an image in a hall of mirrors. "A wedding. If you wanted...That is..."
"I think," he said slowly, setting the flowers on the table, "that something of the sort could be arranged." HALLIE: So let's hear it... What do you like in an ending? Cliffhanger? Echo? Tie things up? Multiple orgasms? What are you druthers? ?